For the 5th year in succession VE3CWM hosted the Ottawa Amateur Radio Clubs’ (OARC) contest station VA3RAC for their RAC Winter Contest activities. 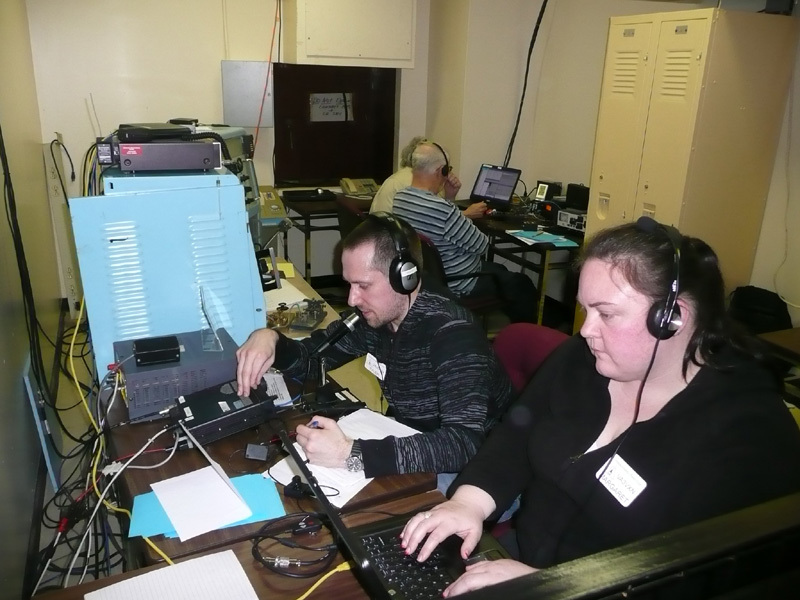 VA3RAC operated from the Diefenbunker on Saturday December 29th from 7:30 am to 7 pm, when the contest ended. Including points gained by OARC members operating VA3RAC from their home stations the previous evening, the total points score was 320,670 from a total of 967 QSO’s. Shown here are Tyler (VA3DGN) and Margaret Tidman (VE/VA3VXN), a husband and wife team of avid ham operators. Nine OARC members activated two stations from the bunker and contacts included stations in all Canadian provinces and one territory, as well numerous US contacts, and further afield to Europe, Japan and New Zealand. This year’s effort yielded the best points score so far for VA3RAC operations from the museum.